Unique style fills these closed shaped jump rings. Closed jump rings are rings that have been soldered shut for extra security within your designs. They make wonderful connection points within projects, and can even be used to hang dangles, to bring together multiple strands, as an embellishment, and more. This selection of closed jump rings offers different shapes for even more style options. Use these jewelry findings in your next designs for an eye-catching display. Assemble your jewelry designs with help from the 14K/20 gold-filled 6mm 22 gauge oval closed jump ring. This jump ring features an oval shape. The unique shape is ideal for dangling charms, connecting multiple strands and more. Its small and versatile size will work in a variety of designs. This jump ring displays a golden shine that works well in classic designs. Add it to your bead stash today. Sweeten up your style with the sterling silver heart jump ring. This jump ring is great for showcasing in your projects. Use it as a focal to hang dangles from in a necklace. Turn it into a chandelier base in earrings. There are so many ways to use this jump ring, and it's especially great for Valentine's Day designs. 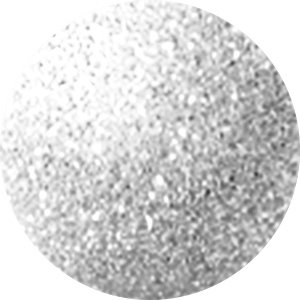 It features a brilliant silver shine that is versatile enough for any project. Bring a sweet touch of style to designs with this jump ring. This jump ring takes on the shape of a simple heart. You can use this versatile jump ring as a connection point for multiple strands or link multiple together with jump rings for a cute chain. You can even dangle it from earrings. It's sure to make a cute accent in any style. It features a brilliant rose gold glow that's sure to warm up your style. Add some sweet sparkle to designs with this jump ring. This versatile jump ring takes the shape of a simple heart. It's perfect for connecting multiple strands together or linking to create your own chain. Try it in Valentine's Day themes for a cute accent. It features a textured sparkle cut that glits and gleams. You'll love the high-quality gold shine. Add geometric shapes to your style with the sterling silver 8mm square 20 gauge jump ring. This jump ring features a square shape that is fun to work with. When used as a connector, it ensures your components will not move around as much. It can also be used to add interest to modern designs. It is bold, so will look great in eye-catching designs. The sterling silver shine is versatile enough for any color palette. Brilliant beauty fills this closed jump ring. This jump ring takes on the shape of a simple heart. You can use this versatile jump ring as a connection point for multiple strands or link multiple together with jump rings for a cute chain. You can even dangle it from earrings. It's sure to make a cute accent in any style. It features a bright sterling silver shine that will work with any color palette. For a modern twist on style, try the sterling silver 6mm 20 gauge square jump ring. This jump ring features a square shape that is fun to work with. When used as a connector, it ensures your components will not move around as much. It can also be used to add interest to modern designs. It is versatile in size, so there are many uses for this component. The sterling silver shine is versatile enough for any project. Add a sweet touch to jewelry designs with this closed jump ring. This bold jump ring takes the shape of a simple heart. This jump ring is perfect for connecting multiple strands or creating chandelier earrings. You can even create wire-wrapped designs or link several together with jump rings for a cute chain. It's the perfect touch for Valentine's Day designs. This jump ring features a beautiful gold shine that will add a classic touch to your style. Fill your style with the sweet shine of this jump ring. This bold jump ring takes the shape of a simple heart. This jump ring is perfect for connecting multiple strands or creating chandelier earrings. You can even create wire-wrapped designs or link several together with jump rings for a cute chain. It's the perfect touch for Valentine's Day designs. It features a lovely rose gold glow. Make your designs stand out with the sweet style of this jump ring. This bold jump ring takes the shape of a simple heart. This jump ring is perfect for connecting multiple strands or creating chandelier earrings. You can even create wire-wrapped designs or link several together with jump rings for a cute chain. It's the perfect touch for Valentine's Day designs. It features an eye-catching sterling silver shine sure to work with any color palette. Dazzling style fills this jump ring. This bold jump ring takes the shape of a simple heart. This jump ring is perfect for connecting multiple strands or creating chandelier earrings. You can even create wire-wrapped designs or link several together with jump rings for a cute chain. It's the perfect touch for Valentine's Day designs. It features a textured sparkle cut that glints and gleams and a regal golden shine full of classic beauty. For a sweet accent, try this closed jump ring. This jump ring takes on the shape of a simple heart. You can use this versatile jump ring as a connection point for multiple strands or link multiple together with jump rings for a cute chain. You can even dangle it from earrings. It's sure to make a cute accent in any style. This jump ring features a high-quality gold shine full of classic beauty. If you want to spice up your style, try the sterling silver 4mm 20 gauge square jump ring. This jump ring features a square shape that is fun to work with. When used as a connector, it ensures your components will not move around as much. It can also be used to add interest to modern designs. It is small in size, so you can use it in all kinds of ways. The sterling silver shine is versatile enough for any project.